This nearly wordless book uses onomatopoeia and strikingly bold illustrations to tell the story of a homeless cat who finally finds a home. A cat enters a grocery store in search of food, but the proprietor shoos her away. A bus approaches offering shelter, but the large-handed, angry-faced bus driver shouts SCRAM! 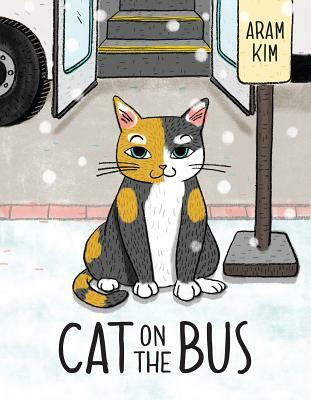 When another bus approaches, the cat runs in with a WHOOSH and meets a grandfatherly gentleman who changes the cat's circumstances forever. ARAM KIM is a New York-based illustrator who grew up in South Korea. A graduate of the School of Visual Arts, she is also the author of No Kimchi for Me.